Are you looking for a fast and easy way to begin dropshipping with WooCommerce? 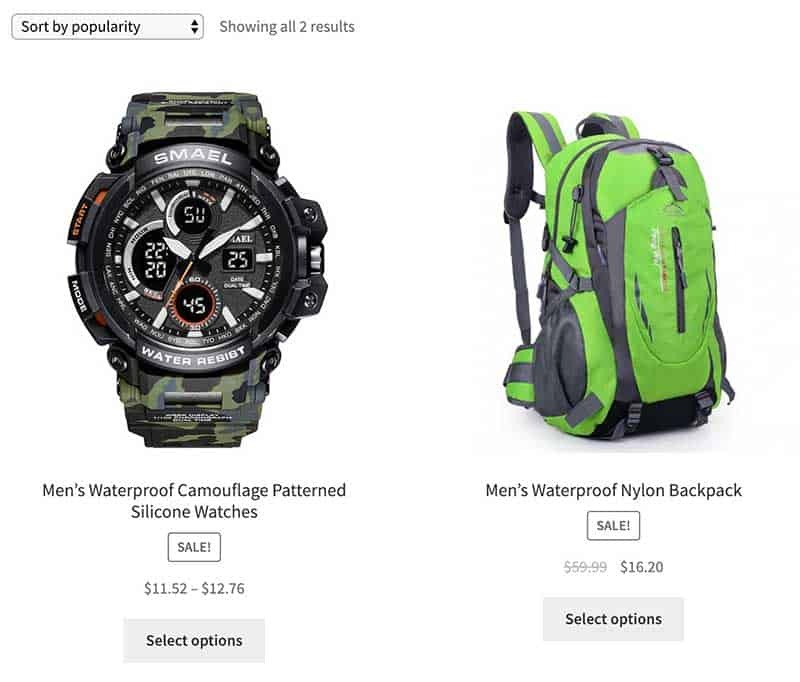 All types of businesses are using WooCommerce to sell products to include dropshipping. 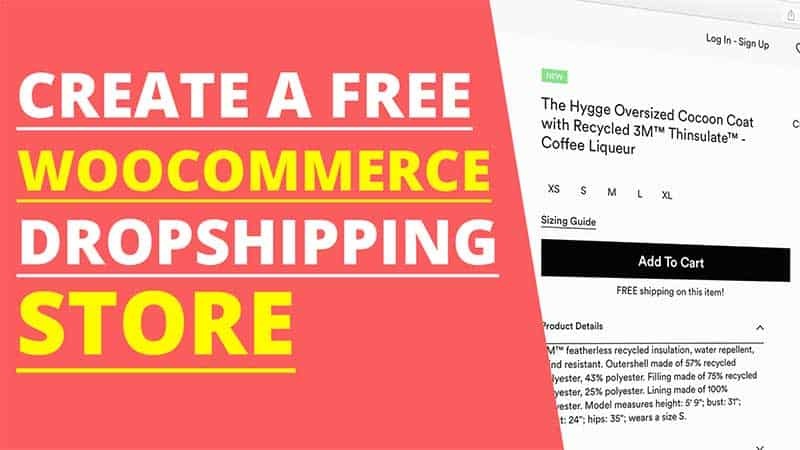 In this post, I will show you step-by-step how to use WooCommerce for dropshipping products sourced from AliExpress. Best of all, it can all be done using free software. It really doesn’t get any better than that. Let’s get started! If you already have a WordPress website up, you can skip this section. However, if you need a WordPress website and want to get one up without much fuss, the following steps will be easy. I am hosting my WooCommerce dropshipping store with HostPapa web hosting. I use and recommend their hosting as they provide you with a free domain name and they will auto-install WordPress for you. Click here to open the HostPapa WordPress optimized packages in a new browser. These plans include a free domain name. You likely already have a good idea what you want to sell in your store. You can choose a domain name that relates to that niche. Once you select your plan, you’ll be taken to the next step to register your domain name. 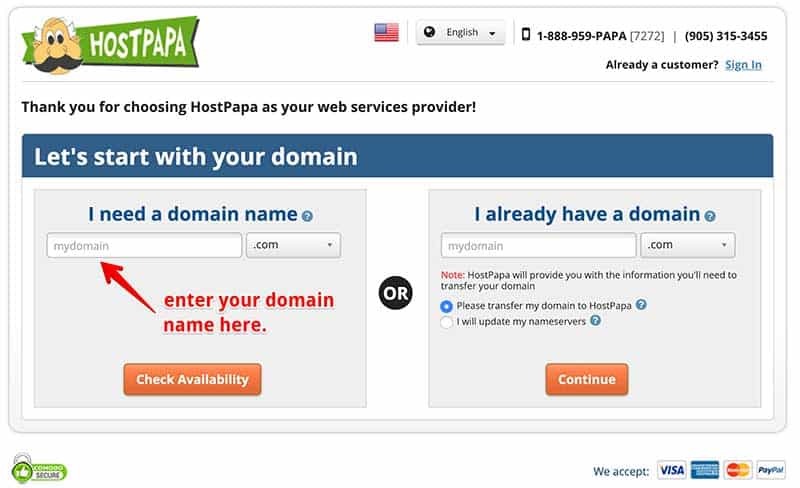 If you already have a domain, HostPapa can transfer it for you. If you run into any issues or have questions, don’t hesitate to contact HostPapa support. You can contact them 24/7. They have phone support, email ticketing, and live chat. They have live chat windows on every page of their website for easy access. Installing the WooCommerce plugin can be accomplished from your WordPress admin area. Click on “Add New”. Then type in “WooCommerce” in the search box as pictured above. After you activate the plugin, you can then click on the Set Up Wizard and follow the prompts. When you get to the shipping portion of the wizard, select “Free Shipping” for both zone locations. AliExpress offers free shipping on a majority of their products and you can pass that savings along to your customers. Your next step is to install a WooCommerce store theme. You can find both free and paid WooCommerce themes. For this tutorial, I chose WooCommerce’s Storefront theme. It is a free theme and is clean and simple. Download the theme from their website and then head back to your WordPress admin area. This plugin is what enables you to import products from AliExpress.com. What makes this plugin special is that the products in its database have already been selected to be the best selling items. It has over 50,000 of the best selling products already chosen. The titles, images, and descriptions have also been updated for you. This saves you a ton of time. You can download the plugin for free at Dropship.Me. The first 50 products imports are free which is plenty for a new store. Anything beyond that requires upgrading the plugin for a one-time fee. After you’ve signed up, they will give you an API key to activate your plugin. You can then install DropshipMe in the same manner as the above. If you get stuck, please watch the video above. You can then go to your DropshipMe settings in the left-hand side of your WordPress admin area. Click on “Activate” and paste in your API key. Once that is complete, you can import products. One thing I did notice is that each product that you import is labeled as a draft. You can click on the product to place it in edit mode. Then click on the “Publish” button. It will then appear in your WooCommerce shop. 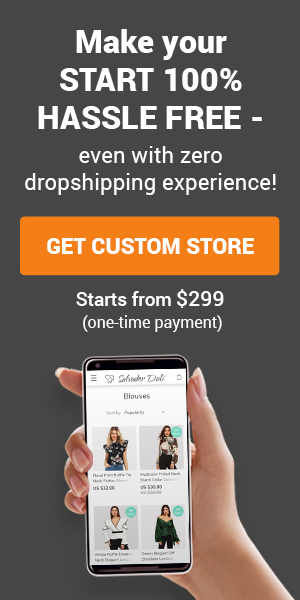 There are some great benefits to building your dropshipping store using WooCommerce and DropshipMe. One of the biggest benefits is that you keep full ownership of your store. This is important because by using other web-based dropshipping services, you risk having your account closed at any time for any reason. This isn’t the case when you use WordPress and WooCommerce. Another plus is that you save on monthly software fees. Unlike some other dropshipping software, you won’t have monthly recurring software fees. There you have it! It’s really simple, right? You can have your own dropshipping store using all free software. Keep in mind that using these options for your store does not include any automated features. You will have to manually process each order, send your customer’s tracking IDs, etc. 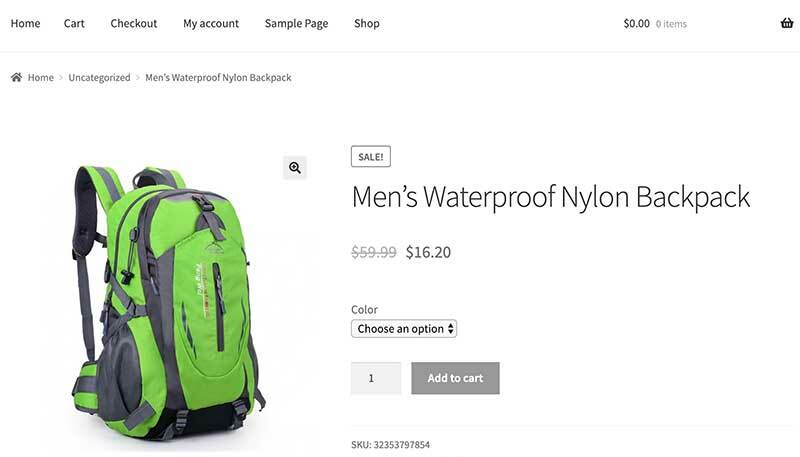 If you want a more robust dropshipping store as your store grows, you can install the AliDropship plugin. This plugin automates key features such as order fulfillment and sending tracking information. It includes a WooCommerce version of the plugin called AliDropship WOO and works right along with the DropshipMe plugin. You also get lifelong software updates and customer support. I hope this tutorial has been helpful. I wish you much success in your online business! 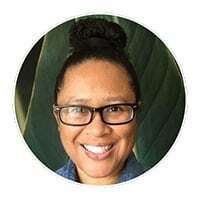 ← I Want to Start a Blog – Where Do I Start? Is there a way to change the prices listed?